Online Employee Self Service (ESS), an important tool to improve collaboration. Online Employee Self Service (ESS) is an important tool to improve collaboration in your team. With the advancement in technology, several worldwide businesses today are opting for cloud based solutions to interact with their employees. These online solutions are used to share information as well as collect and organize employee data. The biggest advantage is that the employees can access the data anytime, anywhere and using any web-enabled device. Perk Online Payroll’s Employee Self Service (ESS) is a module that helps organizations to streamline their HR processes. Most of the organizations across the globe have been facing challenges in managing their employees leave record, performance reviews, personal details, claims and overtime submission, view payslips. Online Employee Self Service (ESS) is a comprehensive solution to all those challenges. It is web-based resource making life of employees and managers easier than ever. 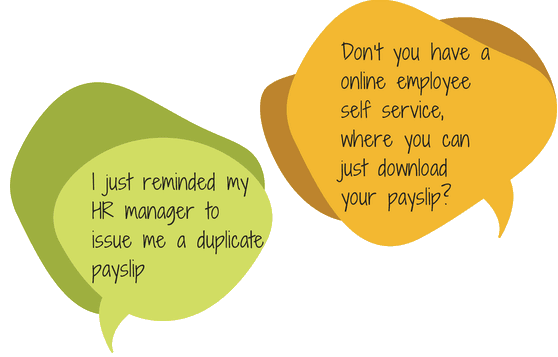 With Online Employee Self Service (ESS), employees need not worry about any discrepancies in attendance, leave requests, payslips and deductions including Provident Fund (PF), Employees’ State Insurance (ESI), and Tax Deducted at Source (TDS) in India. This service benefits both the employees and the organization. It is a user-friendly tool for employees. Online ESS allows the employees to access their account using a secured username and password. It enables the managers to access and update leave information of their team members while maintaining complete transparency in the system. Online Employee Self Service (ESS) makes processing of leaves—a fairly simple and easy job. It helps in applying, approving, and maintaining employees’ leave in a streamlined manner. This saves time and enhances the productivity of employees in operation as well as those in HR and Management. 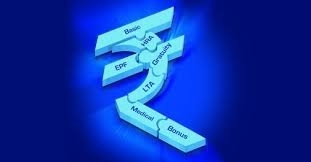 Taxation in India is complex and laws are stringent. Employers and employees need transparent tools to share the required information. Online ESS is a simple tool that helps employees and employers share details with each other, making it easy for all to stay compliant with the law.. Online ESS enables employees to view their tax details for TDS computation. Employees can contact their management officials for any discrepancy. 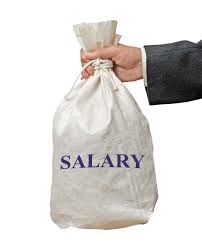 It also helps in maintaining and updating employee-wise tax-related information. Online Employee Self Service (ESS) keeps the employees updated with announcement and latest news. This tool helps employees to participate in surveys conducted by the companies. The surveys provide relevant information about employees’ perception of company which enables them plan and strategize their milestone accordingly. Online Employee Self Service (ESS) helps to manage leave and reimbursement workflow. It enables managers to update leave record and employees to view leave and reimbursement details. Online Employee Self Service (ESS) helps to get information about fellow employees such as their contact details, birthdays, hobbies and so on. At the same time, employees can update their contact information and emergency contact details. Online ESS acts as a 24*7 helpdesk for employees ensuring anytime-anywhere access. This enables the employees get information and details about upcoming events. Online ESS is an online tool that enhances collaboration in an official set-up. It helps employees control their leave processing in real time. It helps in updating records directly in an employee’s payroll database. This tool informs managers regarding each update by email. Online ESS’s access-from-anywhere feature makes it a highly sought-after among the employees on the run. Managers are likely to utilize the tool for resource optimization as it makes leave processing and maintenance, highly effective.